TISA Description of the Problem: As we continue moving through the year 2008, we have a very special series of “Tips of the Month.” In 2007 our TISA website was honored by having the following article, “My Favorite Tips from the Interviewing Tip of the Month Archive” published in the Psychiatric Clinics of North America (Shea, SC: Psychiatric Clinics of North America, June 2007,Vol 30:#2, 219-225). The tips in this article all appeared on this website. During the first eight months of 2008 they will now be re-posted with some additional comments – exactly as they appeared in the journal. Congratulations to all of the contributors whose tips were chosen as the very best! Let us now look at our sixth tip from the article. Trying to help clients recognize and focus upon specific problematic behaviors and times can be difficult, for patients may feel threatened by admitting weaknesses or bad decisions from the past. Caryn Platt Tatelli, AM, LCSW, has developed a nice question that addresses this issue. Tip: A primary care physician, Edward Hamaty, once described to me a variant of normalization that he had found to be useful with his patients suffering from life-threatening illnesses such as cancer or AIDS. Many of his patients had significant degrees of denial. At first, this denial was of use to these patients. Naturally, such denial had to eventually give-way, so that the patients could understand the need to take medications and also appropriately plan for future difficulties. 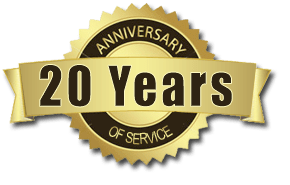 In patients where it became necessary to “break through” some of their denial, this physician often began, “You know, John, we’ve known each other for a long time, and I think I can share freely with you. If I had learned that I had AIDS, I think it would create a lot of different feelings inside me. After the shock, I think I might feel some anger or sadness – who knows, maybe fear too I’m wondering if you’ve been having any of those feelings?” In this instance the behavior is being normalized, not to other people, but to the interviewer himself or herself. Consequently we refer to it as “self-normalization”. I have found it to be very useful. Sometimes when people get extremely anxious, their thoughts will become so painful that they sound. almost like voices to them, have you ever experienced that? Sometimes when people get really angry they say things they later regret, has that ever happened to you? Sometimes when people are really worried about their weight they will do things to make sure they don’t gain weight like force themselves to vomit after a meal, have you ever tried that? A fair number of my patients have told me that when they are feeling really depressed, they find themselves crying, or at least feeling like crying, have you noticed anything like that? Clients often tell me that sometimes the pain of their depressions is so great that they have thoughts of wanting to kill themselves, have you had any thoughts like that? If a patient is trying to malinger or exaggerate his or her clinical condition, normalization is counterindicated, for it can cue the patient as to what to say. It can also be a problem with patients who are “eager to please” or unconsciously may have secondary gains for being sick. One way of avoiding this difficulty is to use normalization that is modified by the statement of a range as with, “Sometimes when people are depressed they will notice a difference in their appetite, either increased or decreased, have you noticed any changes?” Because such a range does not tip patients in any specific direction, validity is increased. 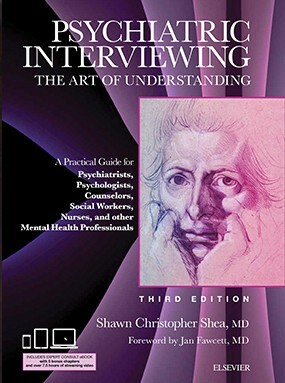 The above interviewing tip is an excerpt from The Practical Art of Suicide Assessment, by Shawn Christopher Shea, M.D., John Wiley and Sons, Inc., Chapter 5: “Validity Techniques: Simple Tools for Uncovering Complex Secrets” pp. 136-137.